Strolling through the streets of Manhattan’s business neighborhoods, you can pick out the strata of the city’s built commercial heritage, deposited over generations by industries long gone. From the Garment District’s heavy pyramidal avenue office towers and side street lofts, dropped by the garment industry in the 1920s, to the modernist towers like Lever House and the Seagram Building, erected on Park and Fifth Avenues during the post-war years by the country’s giant consumer goods companies, each epoch of industry left the city with a layer of commercial architecture, enduring long after the businesses were acquired and the booms turned to bust. But 50 or 100 years into the future, when our grandchildren and great-grandchildren stroll through the neighborhoods of Midtown South that are today thick with technology and creative firms, they are not likely to find much left over from the likes of Facebook or Google. There will be no equivalent of Grand Central or Penn Station, Terminal City or the Hotel Pennsylvania, left over from the early 20th century railroad tycoons, or SoHo’s cast iron buildings, developed by speculators seeking to feed the growing textile and dry-goods trades of the late 19th century. Perhaps unique among New York’s large industries, the tech and creative tenants that have become the darlings of the current market cycle are leaving very little behind for future generations to admire. Preservationists and even many in the real estate industry wax poetic about the new generation of tech and media firms’ love of old buildings, with their solid masonry and prewar detailing. And there was indeed a time when the early 20th century structures throughout Midtown South offered start-ups in tech and media (and some combination thereof) a bargain, with large floor plates and architectural character at annual rents of just $40 or $50 per square foot. But those days are gone. Prewar space in Midtown South is starting to hit rents more commonly found in new construction, and firms are taking ever larger chunks of space – earlier this week, news broke that BuzzFeed is taking nearly 200,000 square feet at 225 Park Avenue South, where asking rents start at $85 a foot, on par with (or more expensive than) new construction at Hudson Yards or the World Trade Center. 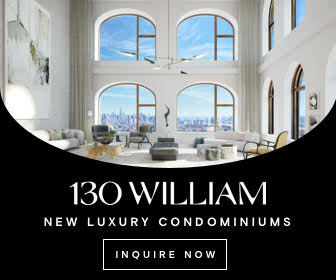 The real reason behind the lack of new construction for New York’s latest industry of choice is becoming increasingly apparent: the city simply won’t let them build in the neighborhoods where they want to be. For the most part, New York has been happy to accommodate new office construction in the neighborhoods desired by financial firms, whether downtown or in the West 40s and 50s in Midtown. Even Midtown East – the favored destination of high finance, where growth had been discouraged in favor of the West Side since 1982, with the creation of the Special Midtown District – may see new construction with the rezoning first floated by the Bloomberg administration and now taken up by de Blasio’s planning staff. But Google and Facebook are not TD Bank or Goldman Sachs, and they don’t want to be at Grand Central or the World Trade Center. Instead they’ve flocked to “Midtown South” – a commercial real estate term for the neighborhoods in the valley of Manhattan’s skyline between 30th Street and Canal, from SoHo and Hudson Square to NoMad and Park Avenue South – and to the extent that they can find space, the Brooklyn waterfront. 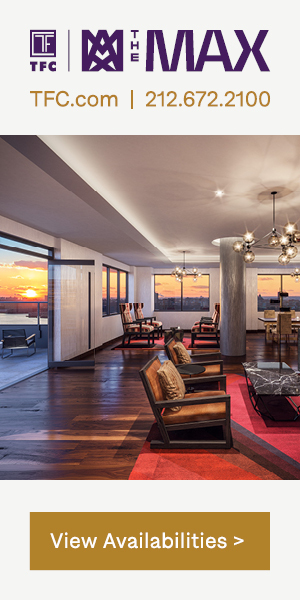 New construction in Midtown South is heavily restricted, both through zoning and landmark districts. Park Avenue South may be largely built out, and razing those old buildings in favor of glassy new skyscrapers is unrealistic, but planners have been hostile to growth even in the low-slung Meatpacking District, where the existing structures are far less dense and distinctly less pedigreed. There are ground-up office projects in the Meatpacking District and Astor Place, and even a few in the works in Williamsburg, but they’re few and far between, minuscule in size, and met with animus or indifference by the city. 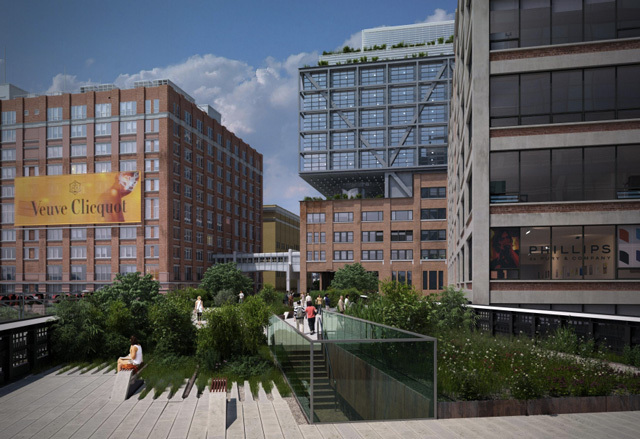 The Meatpacking District has perhaps the most unrealized potential. 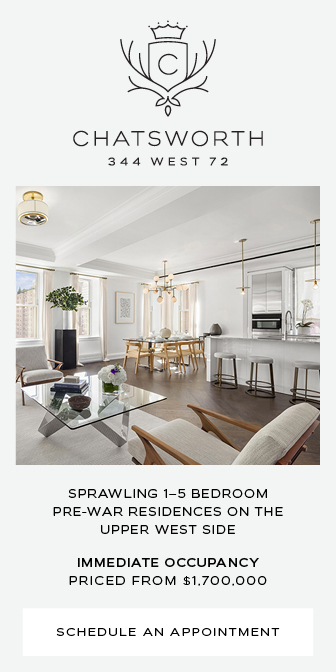 Rents for new space there are well above $100 per square foot, easily matching prices uptown. The buildings have a handsome but not unique look, and as Morris Adjmi’s torqued 837 Washington or the Heart Building show, the historic aesthetic can be preserved on the bottom while adding more height to the top. But only small office projects are allowed in the Meatpacking District, and they’re always a hassle. 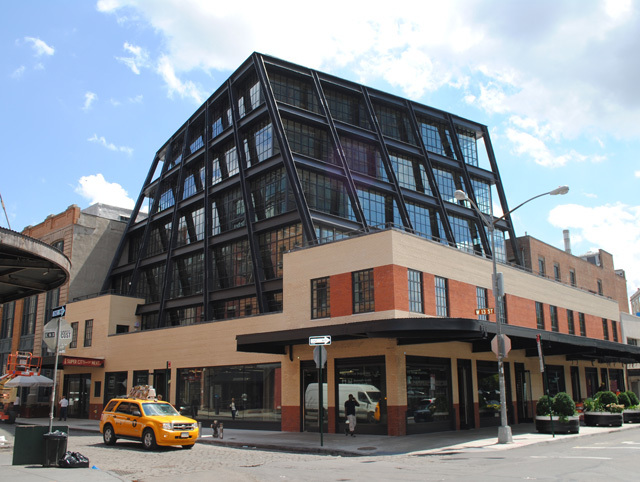 At 837 Washington Street, with a mere 42,000 square feet of space aboveground, Morris Adjmi’s façadist building was smushed by the Landmarks Preservation Commission. 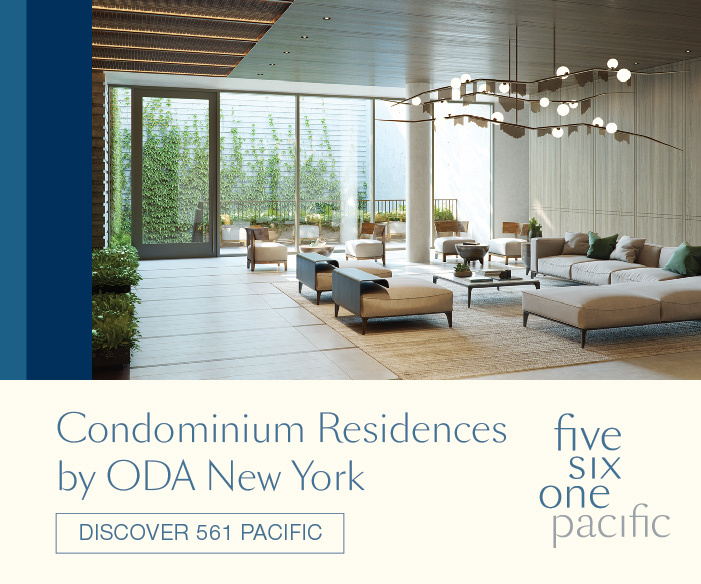 The initial eight-story design was too tall, they said, never mind the neighborhood-defining Standard hotel across the street, with twenty stories looming over the High Line. 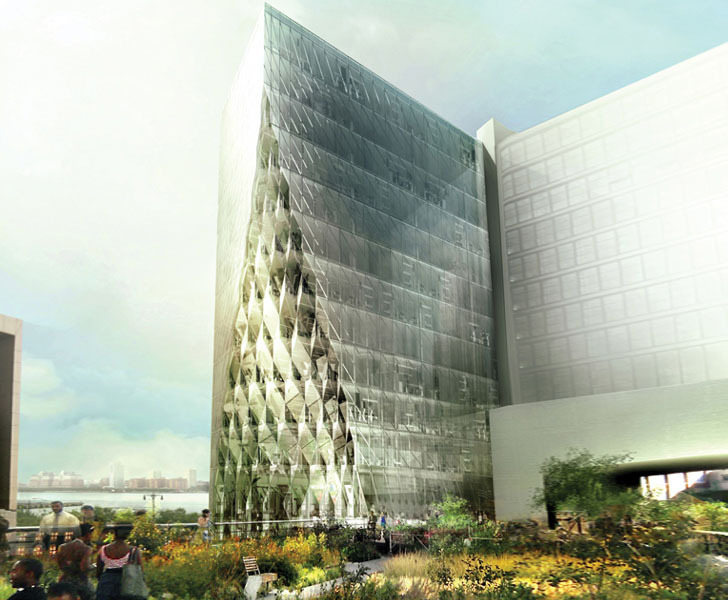 The developers of both 860 Washington Street and the Jeanne Gang-designed Solar Carve asked for and were denied variances (860 Washington partially, the Solar Carve completely) to build beyond the puny floor area ratio limit of five that covers the Meatpacking District, half the density of the commercial parts of NoMad and Chelsea. With not much more than 100,000 square feet each, there are quite a few big tech and creative tenants who wouldn’t even fit in the buildings. The Chelsea Market expansion proposal was relentlessly tweaked and has been under development for years, with no word on groundbreaking. The Chelsea Arts Tower on 25th Street is more than twice as tall as would be allowed today; the year after the project’s first permits were filed, the West Chelsea rezoning imposed height limits on the area around the High Line. In Williamsburg, the situation is even more dire. Proposed office “towers” are severely limited in size by the area’s M1-2 zoning, which only allows construction with a floor area ratio of two – zoning that’s meant to accommodate two-story factories and warehouses, but which some developers are looking to stretch into boutique, thin, mid-rise projects. 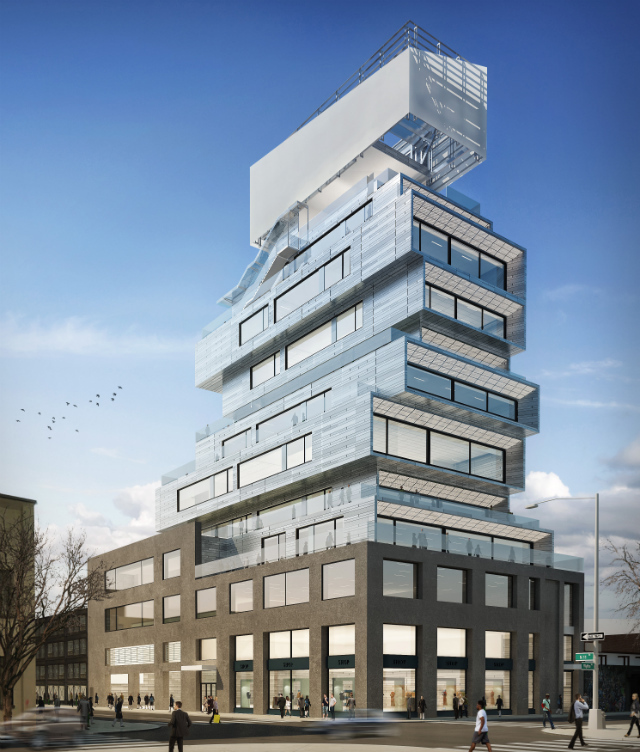 There have been two proposals for small office towers on Williamsburg’s Northside waterfront, with Toby Moskovits’s project already financed at 25 Kent, which looks to be aiming for around 300,000 square feet in size, and Cayuga Capital’s 100,000-square foot project in planning at 87 Wythe. Both will have to make creative use of large assemblages, air rights, aboveground parking areas, community facility space, and maybe even rezonings in order to build structures with a bit of height but not much actual square footage relative to their sites. The city was more accommodating on the Domino site, letting Two Trees up the project’s total square footage with more office space. But Domino and the slight density boost permitted at 860 Washington are perhaps the only times that the city has been helpful to developers trying to build new office space for tech and creative tenants. Compare these slight reprieves to not only the massive density bonuses that some developers in the more traditional business districts uptown and downtown get, but also the tax subsidies and infrastructure investment. In total, the amount of ground-up office space recently delivered or under construction that’s specifically tailored to tech and creative tenants is minute. 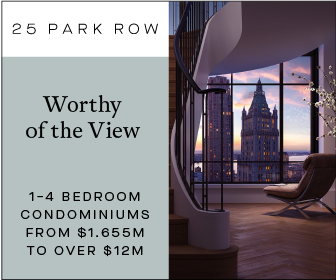 The projects listed above form a nearly comprehensive list, and, along with 51 Astor Place on the East Side, have around as much combined square footage as one big new tower at Hudson Yards or the World Trade Center. For now, the city and developers are simply hoping that tech and creative tenants will be satisfied by space downtown and on the Far West Side that was really designed for financial users. Towers at the World Trade Center and Hudson Yards have snagged a few tech and creative firms, but not yet in the quantities or at the rents that their developers need to make them financially viable. If the city is to be left anything pretty to look at after today’s tech and creative darlings fade away, it must allow higher commercial densities, allowing the individual projects to be larger and increasing the pool of potential sites. In places already zoned for only manufacturing and commercial uses, this can be achieved simply by bumping densities up – perhaps from floor area ratios of five in the Meatpacking District to 10, and from two on the Northside Williamsburg waterfront to five. In areas currently zoned for housing and mixed uses (which, in New York’s market, almost invariably means residential when the developer has a choice) – places like Long Island City or Downtown Brooklyn – builders could be given extra commercial zoning allowances on top of what’s allowed to be housing, suggested Vishaan Chakrabarti, a principal at SHoP and former Manhattan office director at the Department of City Planning. Increasing the amount of office space allowed in Northside Williamsburg or in the trendier parts of Manhattan’s West Side would also mitigate the job losses from deindustrialization and redevelopment of many formerly commercial and industrial neighborhoods. As Chakrabarti is fond of saying, the Domino site will have twice as many jobs when Two Trees’s project is built as it had in 1960, when the sugar refinery was in full swing. But in the long run, it may be the architecture that will be most missed. Whether it’s Apple’s Norman Foster campus or Facebook’s Frank Gehry one in Silicon Valley, or any number of fresher, less well known architects hired to design small projects in New York today, tech firms have shown an eagerness to fund daring architecture, on par with the icons of the Manhattan skyline from earlier eras. If the current situation is allowed to persist – and if the city continues to shun development in the neighborhoods tech and creative firms love, instead hoping they’ll eventually settle for sterile towers in less trendy neighborhoods built for a different kind of tenant – the tech and creative industries may have the dubious distinction of becoming the first major office users in New York City history to leave nothing behind.